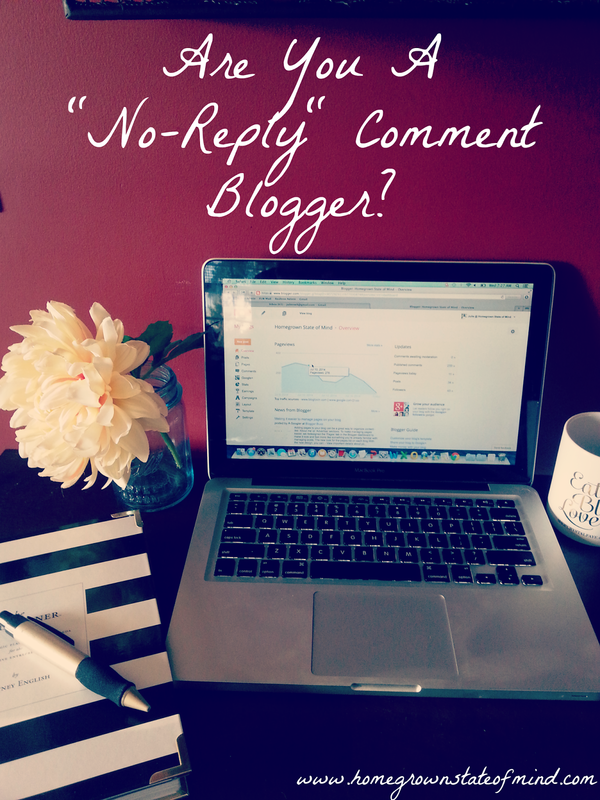 Homegrown State of Mind: Are You A "No-Reply" Comment Blogger? I love it when I get an email notification that someone has commented on one of my blog posts. I appreciate every.single.comment I receive, and I make sure I respond to every.single.one. Well, all of them except those from "no-reply" commenters. I can't respond to no-repliers through email because they have their email blocked. Are you one of them? Do you know if you are? Some of you no-repliers might not even know that you are a no-replier. So, I've done a simple tutorial here for you to unblock your email on Blogger. If you have WordPress, see directions here. Also, if you have Google+ and have associated your Blogger profile with your Google+ account, then you will need to follow these directions here. Did you know that Google+ association with your Blogger profile will automatically make you a no-reply commenter, unless you change the settings? Yeah, some of you out there might want to double-check. In your Blogger dashboard (main page), click the drop-down box that has your name on the top right-hand side (shown below). Some of your information will pop up here. If your email is NOT blocked, you will see your email address in that drop-down and won't need to do anything else. Thank you for not being a no-replier. :-) But if you do not see your email address, you are probably a no-replier and will need to change some settings. 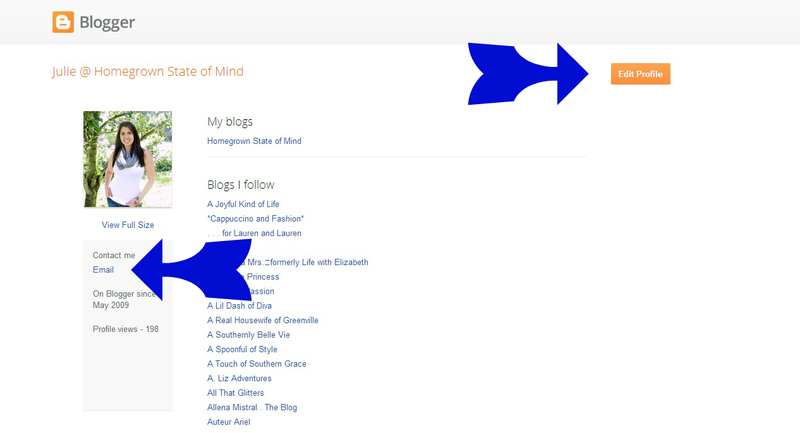 Next, click on "Blogger profile" in that drop-down box. This will show you what your Blogger profile looks like. You can see below that on the left side under "Contact me," there is an option to email me. That again means my email is not blocked. 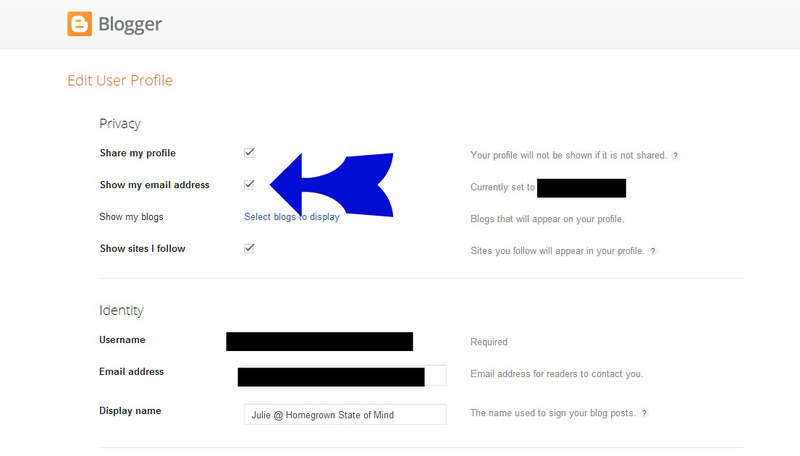 If that option isn't there on your profile, click on that orange "Edit Profile" button on the left. Now, the Edit User Profile page is shown. Under "Privacy," you will see an option to "Show my email address." CLICK THAT. This is what prevents other bloggers from responding to you when replying to comments. Once you click this magical button, scroll down to the bottom of the page and click "Save Profile." Welcome to the world of "repliers." :-) Now, when you comment on a blog post, the blogger will be able to respond to you through email. If some of you out there have commented on one of my posts, and you didn't get a response - this is why. I can't respond to you because your email is blocked. I hope this helps some of you fix this problem. I popped in from the hump day blog hop and I had no idea I was set to no-reply! I'm a new blogger and still figuring things out! Thanks! Gotta love comments- one of the fun parts of blogging!